In 2018 Australia lost one of its national treasures with passing of Richard Gill. Richard was Patron of both the NSW School Band Festival and the Australian School Orchestral Festival and was very involved in, and supportive of, our plans to become the Australian School Band and Orchestra Festival. His passing leaves a huge gap to be filled, a task to which the Board will give its consideration in due course. For now please read and enjoy Richard’s welcome to our Festival. ‘Welcome to the NSW School Band Festival website. This is truly one of Australia’s great musical events and I am very pleased to be able to give my support to such a wonderful institution. My great friend, Cliff Goodchild, was years ahead of his time when he commenced this event back in 1962. Music in Australian schools has undergone tremendous change since then. The School Band Festival has at once born witness to and, in many ways, championed this change. Change that was due, in large part, to the extraordinary vision of Cliff Goodchild all those years ago. I commend the energetic Music Directors who prepare the bands for this challenging event and the parents who tirelessly support their children in the pursuit of musical excellence. If you or your company is looking to invest in the future of Australia I would urge you to consider the NSW School Band Festival. The Festival is listed on the Federal Government’s Register of Cultural Organisations as a tax- deductible entity. Any donation over $2.00 is tax-deductible and you will be making a significant contribution to the cultural life of Australia. 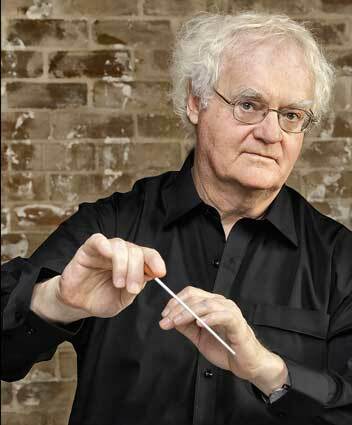 Richard Gill AO (1941 – 2018) was one of Australia’s most well known and respected musicians and music educators.